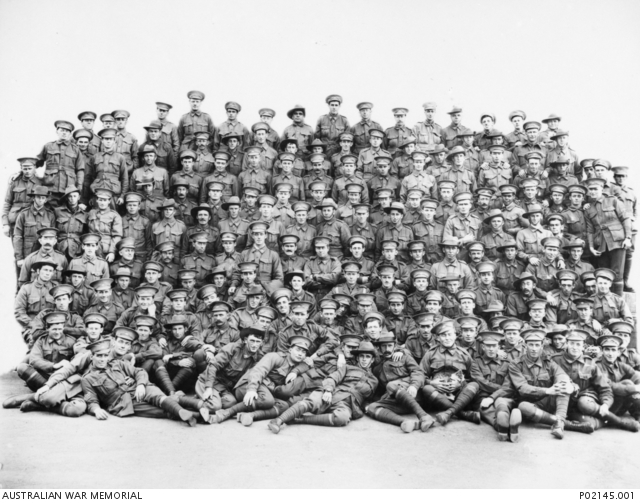 Meanwhile over in Western Australia Joseph William Nettup, claiming to be 18 also enlisted in January 1916 at Blackboy Hill. A month later he was discharged, with the following stamped on his papers: “Not of Substantially European Descent”. Also in 1916, the Aboriginal protection board took 11 children from their Brungle homes. The girls went to Cootamundra, the boys to Bomaderry. (Source: Heartland: The Regeneration of Rural Place By George Main – p114.). It was tough being Aboriginal, finding acceptance, participating in the wider community, making an income, finding a place to be safe, keeping your children. The focus was simply on survival. After the war both men ended up playing football for Brungle. Digger Davis is first mentioned as finishing a brilliant move for South Gundagai in May 1924. In June the Brungle Magpies downed Coolac 19-0 with young Joe Nettup being the star of the team and Davis, now aged about 30, scoring two tries. The next month Brungle hosted its first ever football match and the team won even though they were repeatedly penalised for not following the rules and with some members “playing in positions they knew nothing about”. A few days later the Magpies played a Tumut team full of Maher Cup players and went down, just – by 6 to 8, following, what even the Gundagai Times reporter declared, was a most dubious try. A couple of local prominent supporters of the game have, all along stuck fast and fat for the inclusion of Nettup, the Brungle aboriginal as full back in League Cup matches. They hammered in their contention everywhere — stoutly maintained that Nettup stood shoulders’ and elbows above any player in the district as a full back. As a sequence, Nettup was brought in from Brungle, and he played full back for the Probables. His form was closely watched by everyone. When he kicked a goal from an uneasy angle he received a salvo of applause. Then he missed two easy goals — one right in front of the posts. Then his stocks fell, to rise again, as he made some dandy tackles and beautiful takes. Several times he found the line with big advantage to his side. Occasionally he showed a little weakness, but his play on the whole was good — at times brilliant. He is a calm, cool and resolute player, and there’s no yellow streak in his composition. A little more tuition from the coach, and he will be a champion. Reports tended to repeat the same message – many of the Brungle players, including Digger Davis were wonderful athletes who simply needed coaching to be champions. In one match Alex Johnson, Gundagai’s imported coach from South Sydney enamored himself by playing with the Brungle team. But somehow Maher Cup representation for the “Brungle Boys” never happened – well not until Vince Bulger a generation later. Joe Nettup was selected for Gundagai in the Bancroft Cup game against Tumut, but didn’t turn up on the day. Perhaps he had a race to run. By 1926 he was at Harden and in 1928 living back in the Blue Mountains and still playing some football. He was also a champion cricketer, but it was for his bush and tracking skills that he was most regarded. He risked his life to save a marooned dog and was widely reported for tracking down a missing woman’s body after more than a month of intrepid searching – “He had never given up hope ….day after day he and his dog have wandered the lonely hills and traversed almost inaccessible gullies for traces of her“. 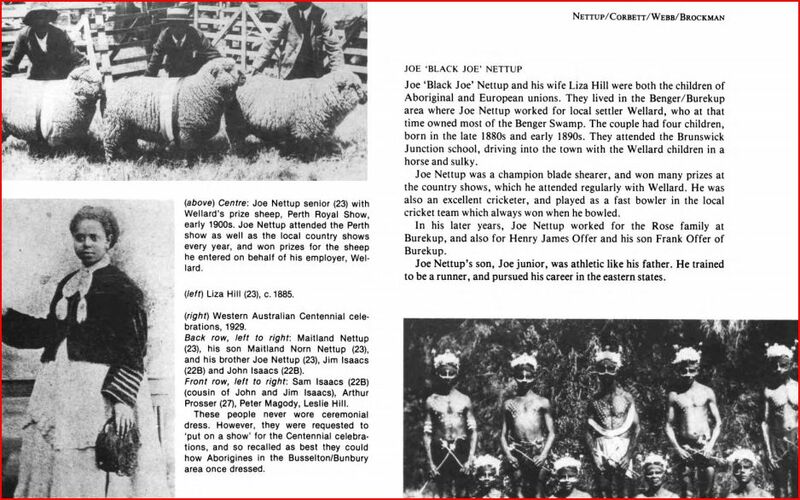 Joe Nettup earned £50 for finding that body and was from then-on rarely described as being aboriginal, but as a “well-known local athlete“, “local speed merchant“, an exceptional cricketer and a crack jumper in the horse ring. He became a shearer, played cricket for Cunningham’s Creek near Harden in 1932-33, and with Walcha and Armidale teams 1934-1940. He became a well respected union shed rep. in sheds all over the state. He finally settled in Tasmania in 1950. A pick-up Yass team played an aborigine team in Victoria Park on Sunday last, and despite the fact that such players as Charlie Kimber and Jack Nash and Carl Massey were playing with Yass, that did not prevent the Abos. from putting it over them by 11 to 8. ‘Digger’ Davis of Brungle, who was most conspicuous for the Abos, caused a great deal of amusement by his antics on the field. He accompanied his good play with – various gesticulations. He gave the Yass players a lot of ‘Don’t Argues’ and shout out ‘Go low at Kimber, and ‘Don’t let Nash get the Ball’ — much to the amusement of the spectators. Neither came back to Brungle. Joe Nettup died so far from country in Collinsvale, Tasmania aged 86 in 1984. Digger Davis lived at various Wiradjuri places with wife Jesse Kennedy, including the bag camp under the railway bridge at Cowra during the Depression, at Darlington Point and Wattle Hill, Leeton in the 40s (Kabaila,P, Survival Legacies) and later at Matraville. He performed boomerang throwing exhibitions and was still alive in his 70s. The first indigenous player in the Maher Cup was Jimmy Murray from Erambie in 1938. But that’s another story. This entry was posted in People and tagged Brungle, Gundagai, Indigenous Australians, Joe Nettup, Tom 'Digger' Davis, Tumut. Bookmark the permalink.